June 2018 marks the 120th anniversary of Philippine Independence Day. 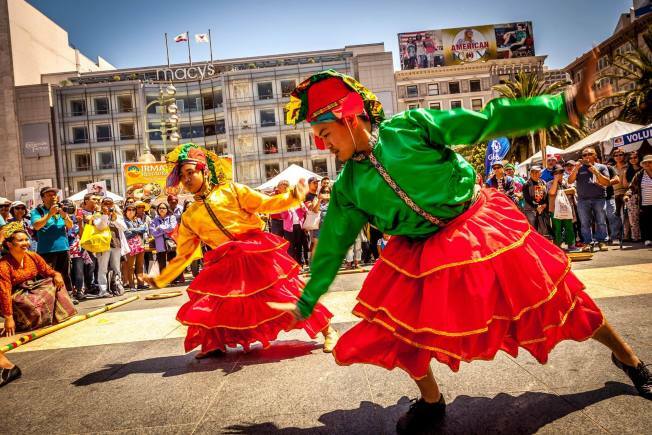 The annual KalayaanSF Festival at Union Square will be held on Saturday, June 16 from 12-8pm. The public is invited to this all-day event to experience the best of Filipino culture! As in previous years, thousands of revelers are expected to come and experience the event's signature 'street' performances on all corners of the Square, where traditional and modern dances, martial arts, visual arts, and musical performances are delivered up close with attendees. There will be a Marketplace Pavilion with vendors offering Philippine-themed and Philippine made merchandise. To complete a truly Filipino experience, food booths will offer authentic Filipino cuisine for all to savor! The highlight of the day is an early evening, free pop-concert featuring Filipino-American platinum recording artist, Jay R, and the Philippines' soul diva, Jaya, all taking place at the Union Square main stage.